Why Is Japan Focusing On Mirrorless Cars? Technology is changing everything about cars and some things are coming faster than you think. There’s no denying it; cars are evolving at an alarming rate. Cars are nothing like they used to be 30 years ago, and the brand new Mercedes E-Class in your driveway now has more computing power than most computers had 10 or 15 years ago. It’s wild when you think about it, but where are we going with this? 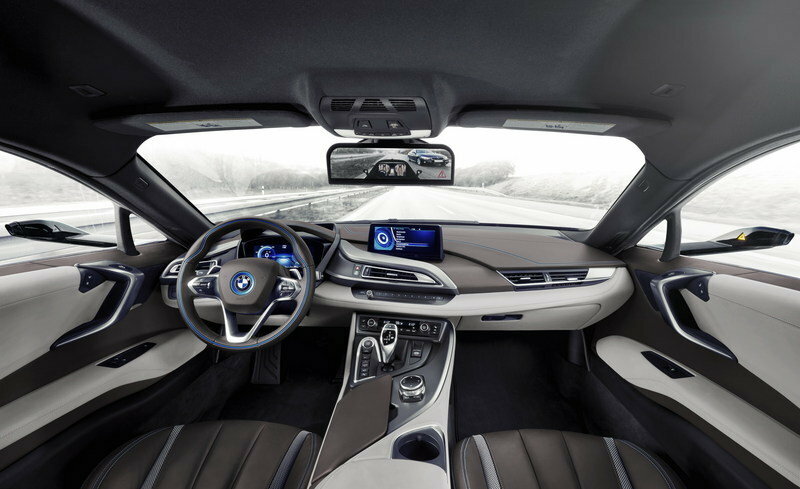 Recently we’ve seen a lot of concepts that utilize cameras and monitors instead of side view mirrors, with the most recent in mind being the BMW i8 Mirrorless Concept from this year’s Consumer Electronics show. But, if you haven’t noticed, there isn’t one car on the road that has utilized this technology yet. All that, however, is about to change. In mid-June, Japan passed a new law that approves the manufacture, sale, and use of mirrorless cars. But, there is a stipulation. These cars must utilize side view cameras and monitors instead. According to Automotive News, this news is “sparking a rush of suppliers to the technology.” Sources indicating that some of the first that are pushing to introduce the new road-going technology are the Japanese firm, Ichikoh Industries, and Robert Bosch GmbH out of Germany. The new outlet also claims that Ichikoh is already in production and plans and the new system will first be used in a “midrange, low-volume nameplate.” While AN claims that Ichikoh failed to give an official brand or model name, it’s safe to assume we’ll see it first from a Japanese-based manufacturer like Honda, Toyota, or Nissan. So what does this mean for the rest of the world? Keep reading to find out. Note: Streaming rearview mirror from 2016 Cadillac CT6 shown here. According to AN, Ichikoh Industries’ first system will be a rear view camera system that will ditch the traditional rearview mirror. To me this seems a little lazy, considering we already have this technology in place on most new cars. Of course, with the exception of the 2016 Cadillac CT6, this image shows up on the infotainment display instead a windshield-mounted display, but transitioning into this type of always-on rear-looking system would be pretty simple for other manufacturers. Apparently, Ichikoh’s system will use an LCD monitor that can be controlled via a switch by the driver when needed. Once this system enters Japan’s market, the side view cameras will follow behind almost immediately. At this point, mirrorless cars – with or without cameras – aren’t road legal in most markets around the world. But, the U.S. and other markets across the globe, will likely follow suit within the next few years. I expect that we’ll see mirrorless cars on the road here in the U.S. by the turn of the decade – as soon as lawmakers realize the benefits of having them over the side view mirrors we’re so accustomed to. 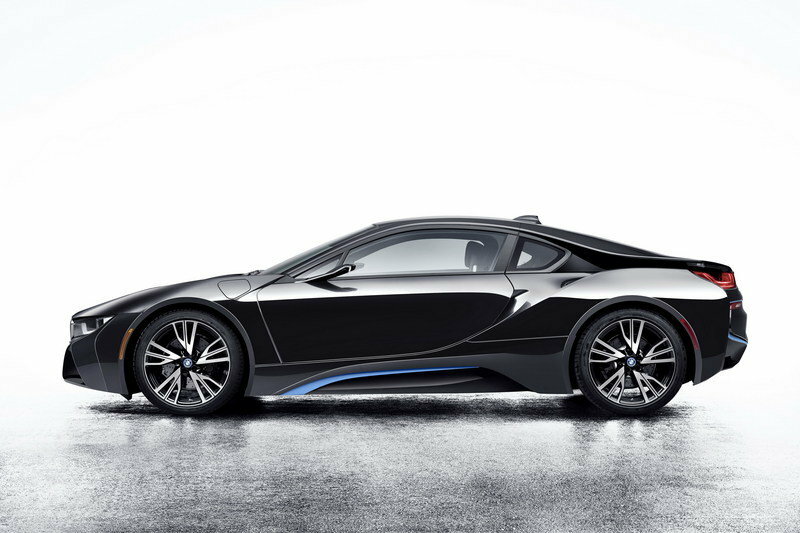 Note: 2016 BMW i8 Mirrorless Concept shown here. The benefits of this system are huge. For starters, the lack of large, side view mirrors will help reduce aerodynamic drag on vehicles and weight, which ultimately translates to better fuel economy. Secondly, there is a huge safety advantage: side view cameras shouldn’t have any blind spots, which means they should make the roads a little bit safer. On the other side of things, manufacturers will now be able to develop sleeker looking cars now that the need for mirrors perched off the door, fender, or A-pillar are no longer needed. And, Camera technology is good enough that the exterior cameras will probably be small and unnoticeable in most cases. 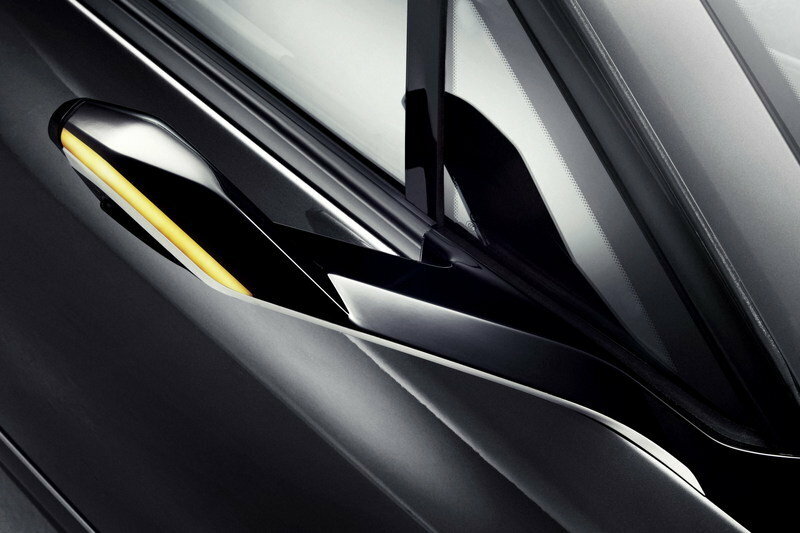 Note: Side view camera assembly from 2016 BMW i8 Mirrorless Concept shown here. At this point, we know next to nothing about anything that is being planned, but I have an idea of how things will work. First, there will likely be a small display on each side of the instrument cluster that is linked to the side-view cameras. This seems like the most ideal place to me, as a driver can then negotiate a lane change without ever turning his head and looking away from the road ahead (thanks to no more blind spots.) Another idea is that a wide display will take the place of a rear view mirror. The center will display the video from the rearview camera while the side view camera feeds are displayed on either side of the unit. With that said, we’ll be following this development and will be sure to apprise you of updates in the future.